Massachusetts Economic Outlook in 2011 - More of the same???? 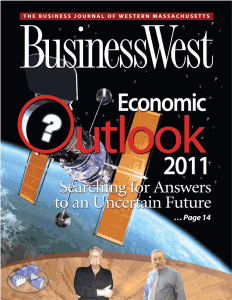 2011 Economic Outlook is featured in this issue of Business West. The recovery in 2010 was off to a promising start but fell short towards the second half of the year. It wasn't as good as we hoped, but Massachusetts did better than many other states that are going through extremely difficult times. Most economists are predicting slight improvement in 2011. Western Mass. Real Estate News: Today's Look at Franklin County Real Estate . . .
Western Mass. Real Estate News: Today's Look at Franklin County Real Estate . . .: "Today there are 431 homes on the market in the 26 towns of Franklin County, MA compared to 517 homes last month at this time. The..."